The Ojai monitoring station is located in the city of Ojai within the grounds of Ventura County Fire Station #21. The address is 1201 East Ojai Avenue, Ojai, CA 93023. This site has real-time monitoring for ozone and pm2.5. AirNow shows real time data for Particles (PM 2.5) and Ozone. You can also find archived data. 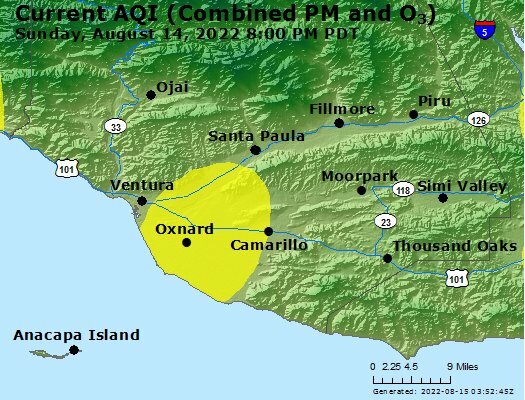 With its animation of air quality maps the AirNow website is our recommended site for the public to look up real time data for the Ojai region of Ventura County.